AMAZING OPPORTUNITY IN VISTA LAKES! !MANY UPGRADES SUCH AS NEW DOUBLE SIDED ENERGY EFFICIENT WINDOWS NEW ROOF NEW A/C NEW SAMSUNG APPLIANCES NEW EXTERIOR PAINT AND MANY MORE. 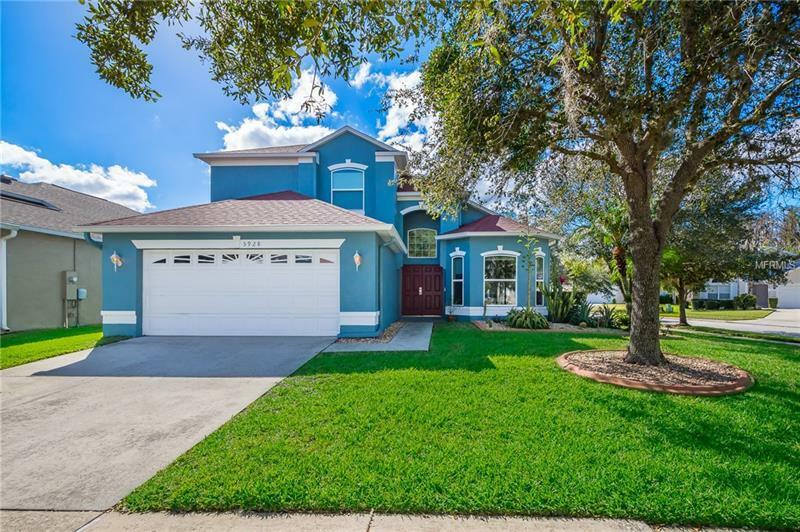 Beautiful home in the outstanding community of Vista Lakes this home has a large foyer welcomes you to the open floor plan. Formal living and dinning spacious kitchen and vaulted bright family room. MASTER BEDROOM ITS DOWNSTAIR FOR YOUR CONVENIENCE. UPDATED KITCHEN APPLIANCES WITH OPEN KITCHEN overlooks the family and breakfast nook. Tile floor throughout the entire house. BOTH BATHROOMS with dobble sink master bath has a shower and garden tub. INVITING SCREENED POOL AND SPA with covered lanai great for entertaining. CONER LOT will give you more enjoyable space for you home. Many other upgrades such as new irrigation system with its panel new pool pumped attic its re-insulated for you comfort. This wonderful home its close to DOWNTOWN AIRPORT AND major highways such as 528417 and 408. A DREAM COME TRUE! !